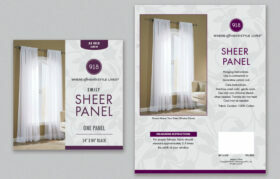 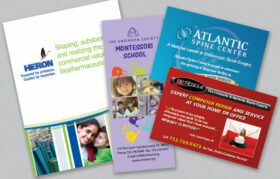 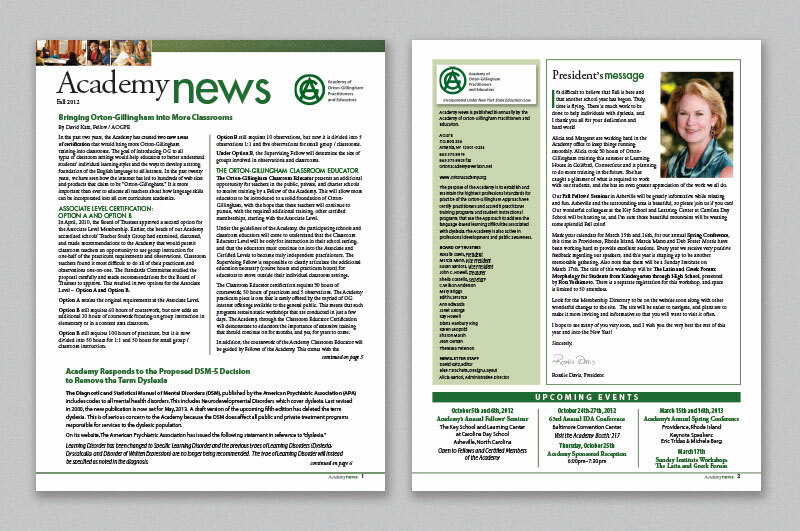 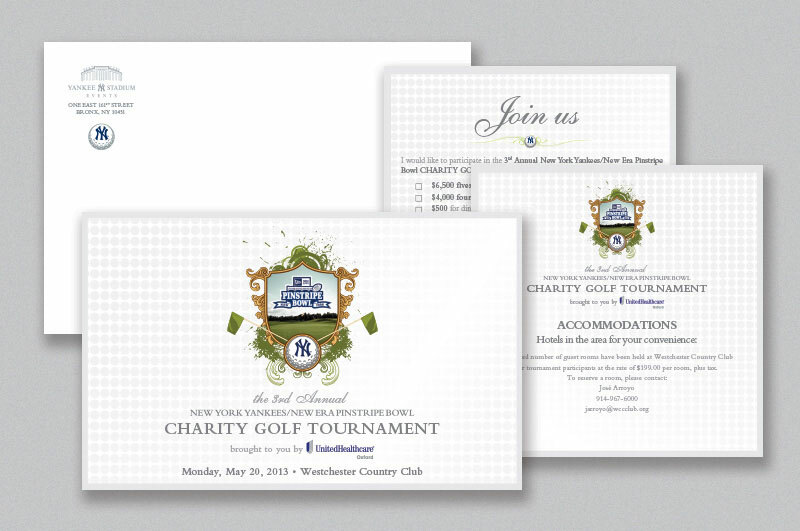 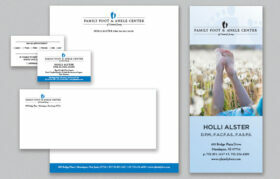 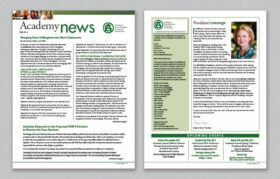 From business cards and letterhead to brochures and invitations, we can make your brand shine. 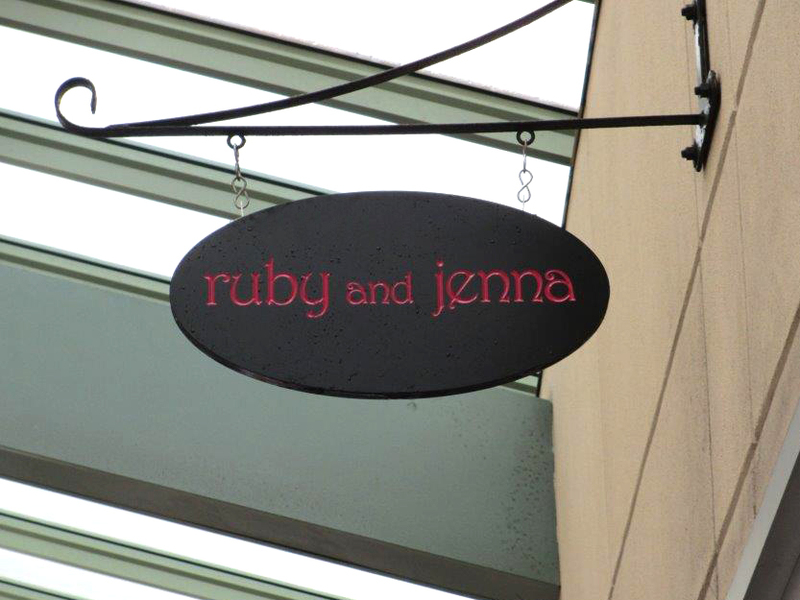 Our quality digital and offset printing, graphic design and proofreading services will help you make a lasting impression. 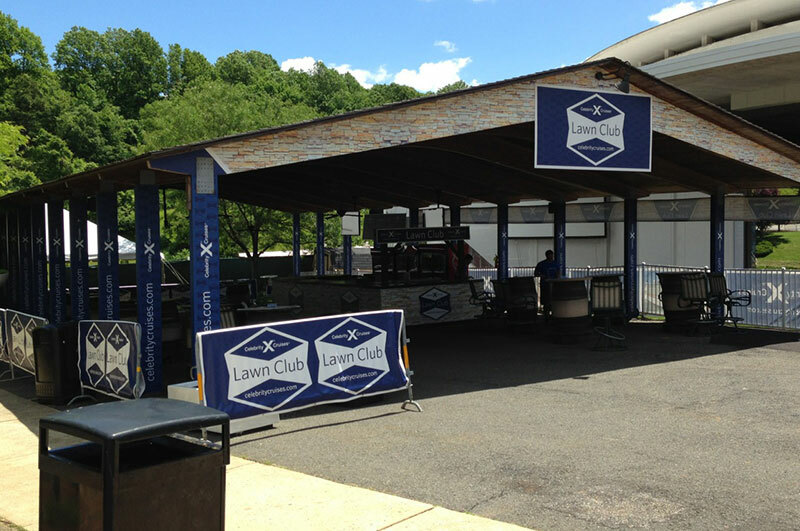 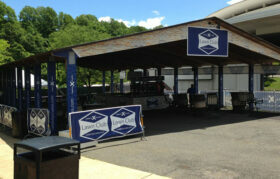 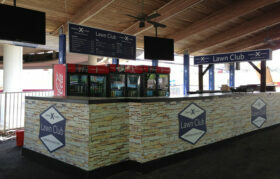 From tradeshow graphics and vehicle wraps to retail signage and media backdrops, we are experienced in all facets of outdoor and large format printing. 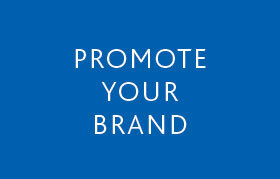 We are your one-stop shop for all your promotional needs...pens, magnets, mugs...you name it. 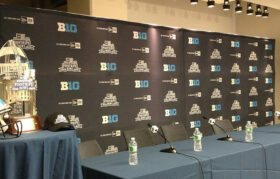 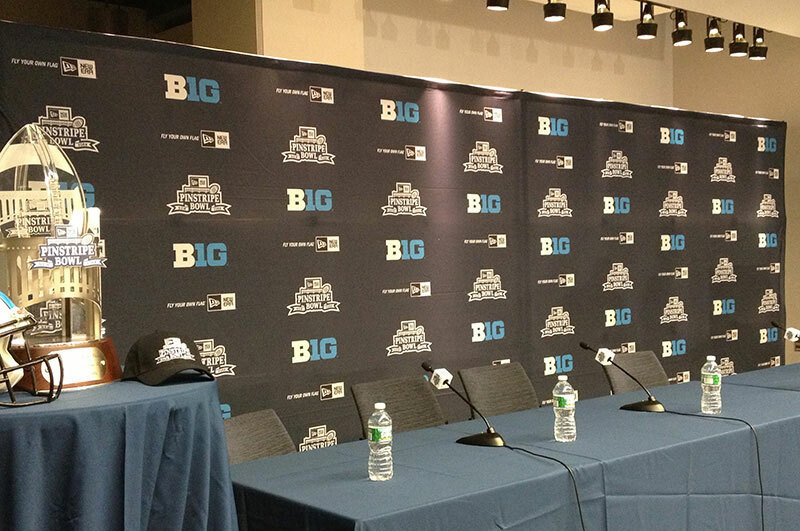 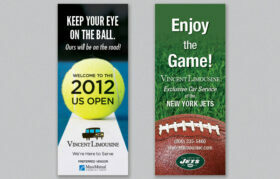 Blue Parachute is known for all things sports. 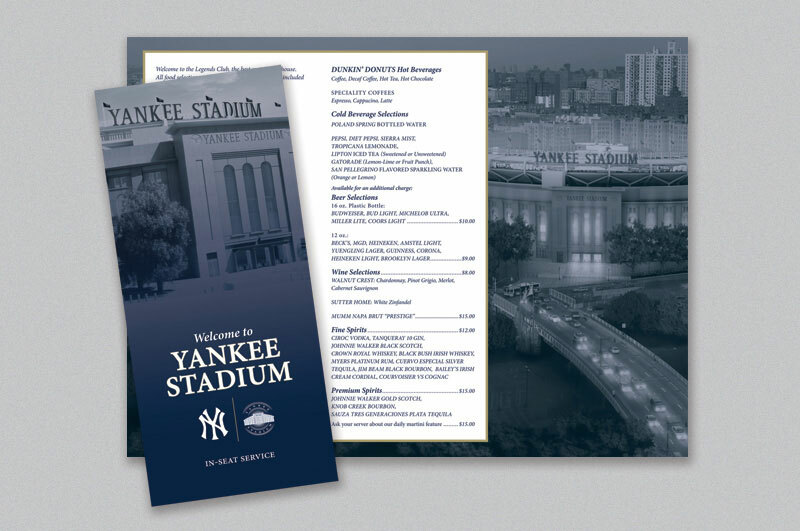 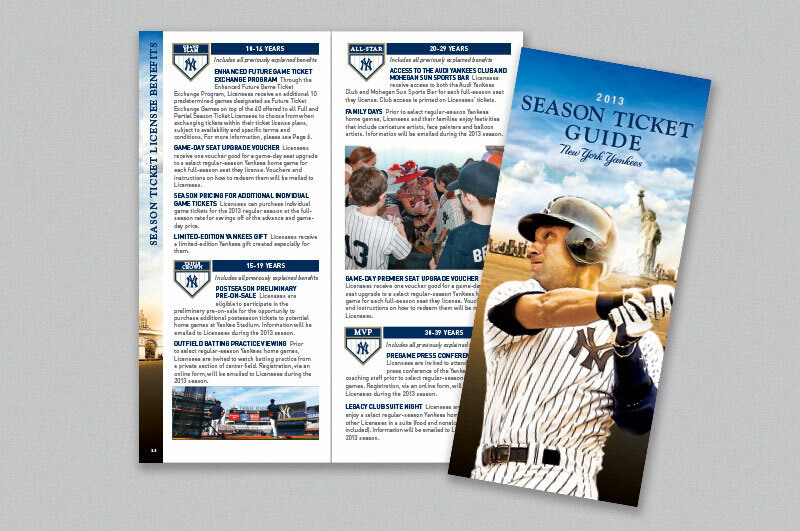 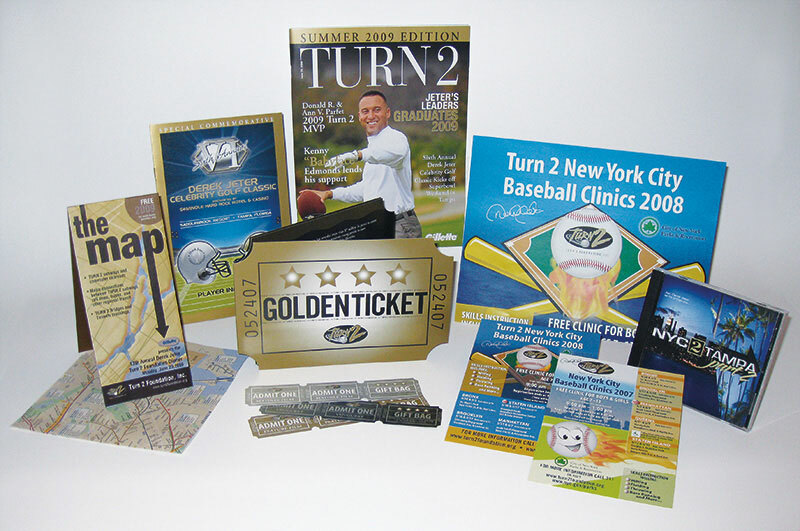 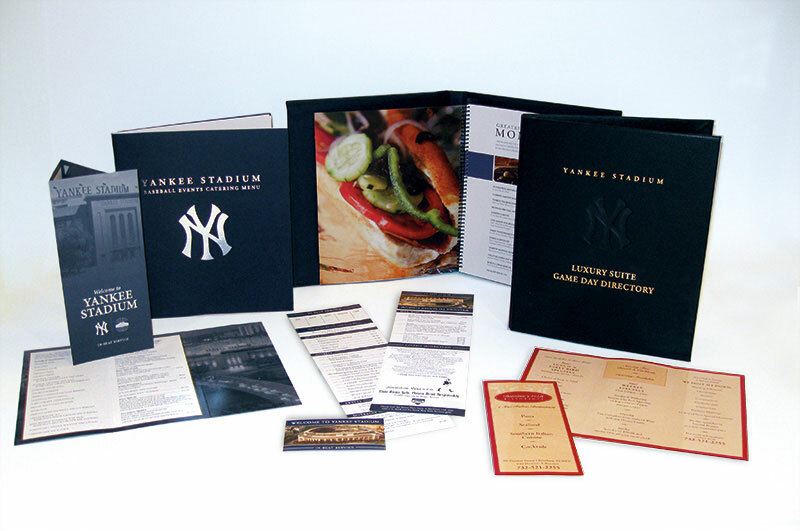 We produce pocket schedules, invitations, ticket invoices and envelopes, suite brochures, directional signage, hand fans and anything else your team needs. 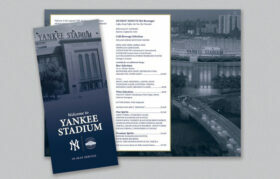 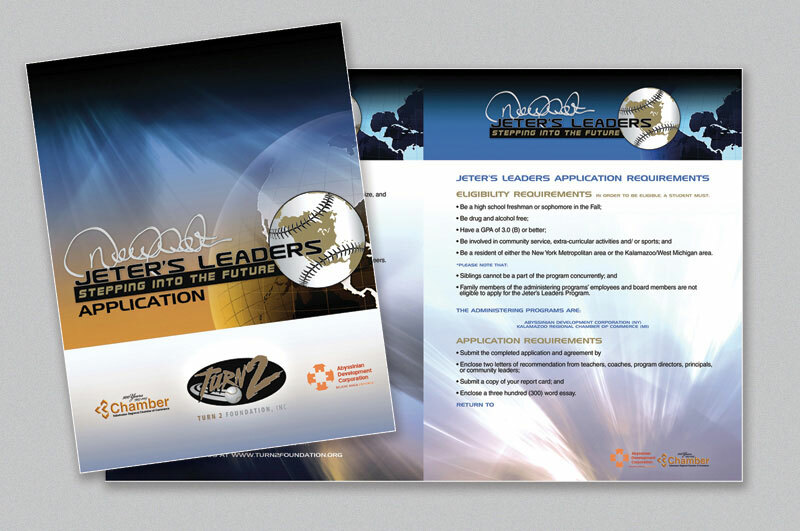 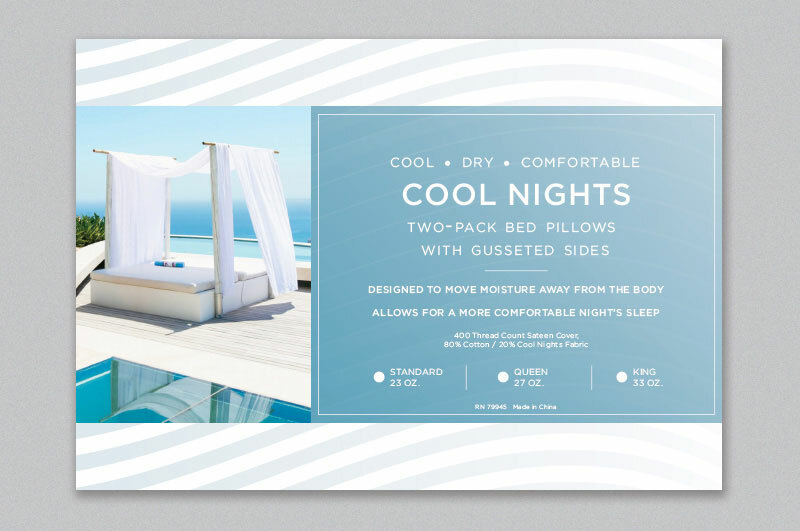 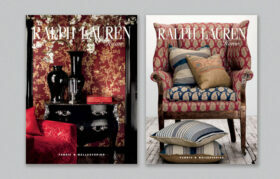 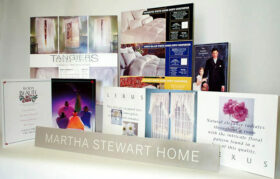 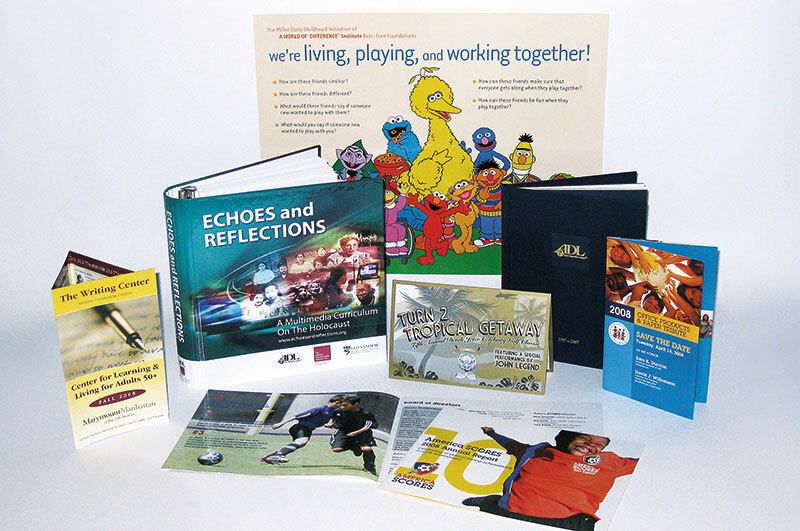 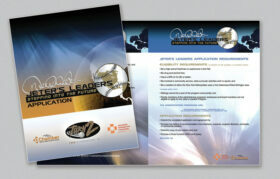 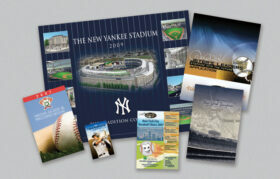 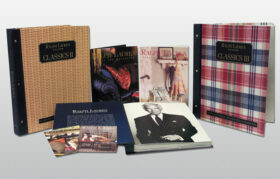 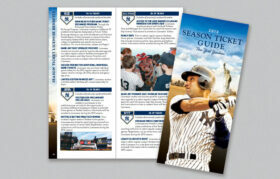 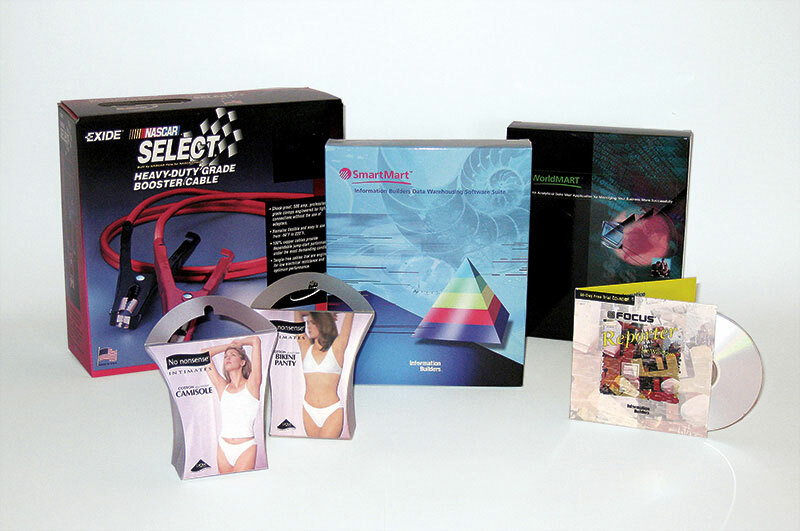 Catalogs, media guides, sales materials and custom books are a specialty of ours. Take a look at some of the big names that trust their publications to us. 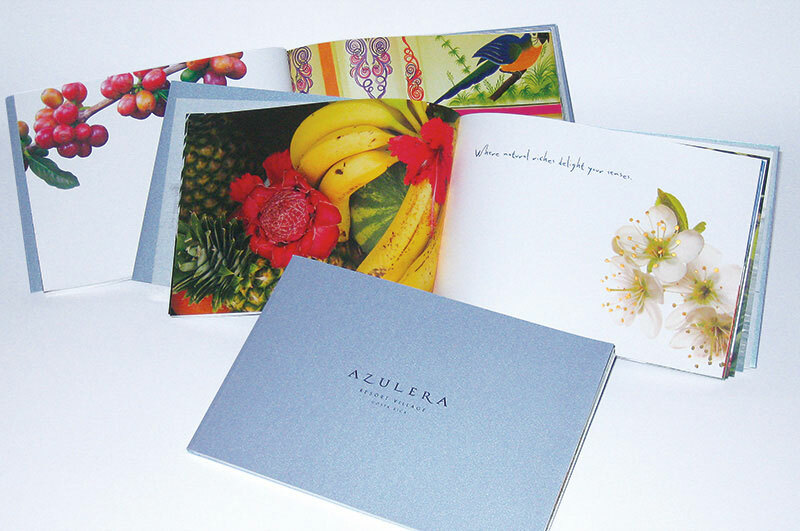 With high end, diverse printing techniques, diecutting and bindery services, Blue Parachute can help your company stand apart. 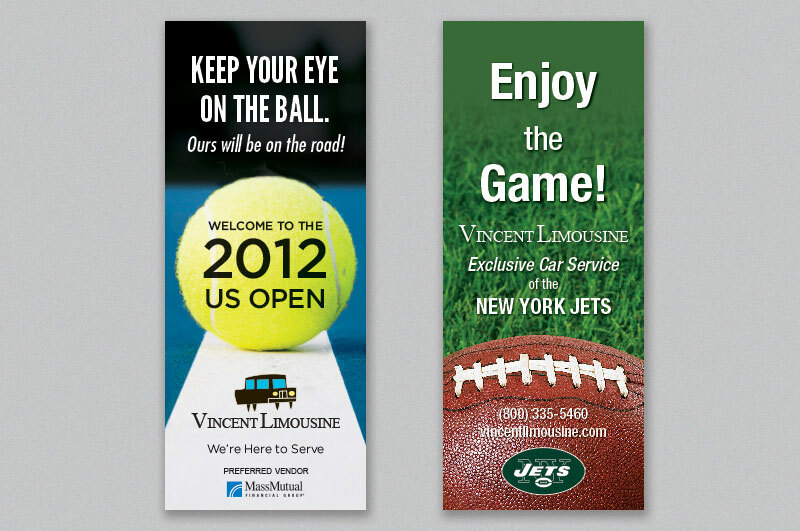 Visual Impact: you know it when you see it…and so do your customers. 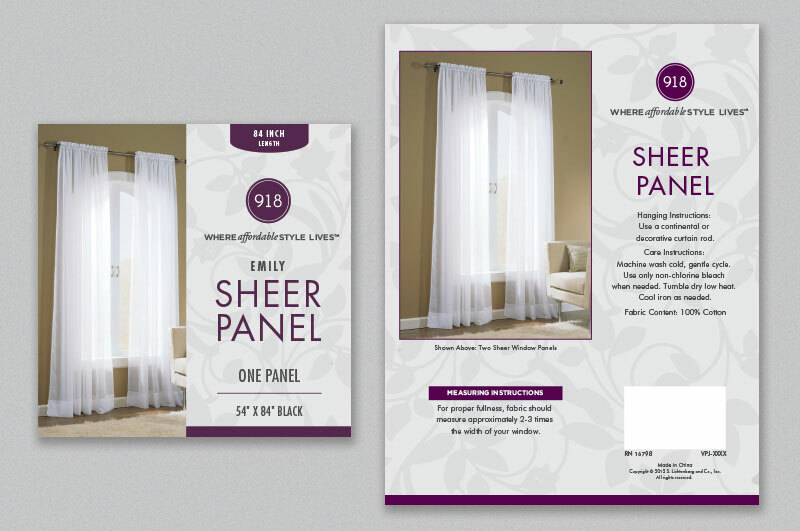 If your point-of-purchase displays elicit yawns instead of bigger sales, put our expertise to work to get more out of your in-store campaigns.